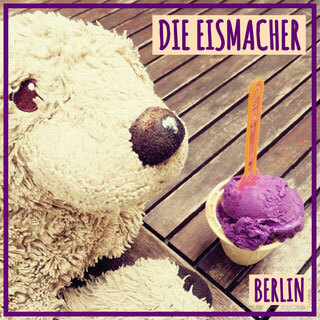 There are plenty of very good ice cream places in Berlin, but I know only one, which serves UBE ice cream. 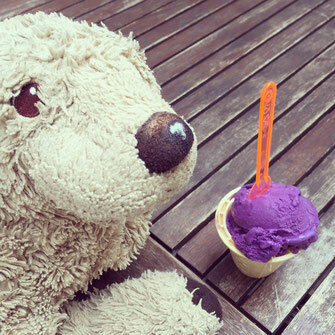 This is this violet coloured ice cream next to me. At first Miss Stanhope thought, that the colour came from some food colouring. She did not like that idea, but then she was told was UBE was. UBE, not to mistaken with UBER, is a root vegetable, likened to yam. The taste is very difficult to describe. Let me just say: IT IS DELICIOUS. Of course it tastes unique, because it does not taste like anything most people know. Yummy. 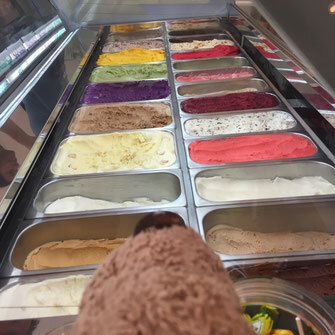 OF COURSE there are so many more varieties of ice cream up for order. Another exotic one is Pandan. It is known as a fragrant plant, because if its sweet flavour. Pandan is a cultivated plant with upright bright green leaves. These leaves are used for cooking many Thai and Southeast-Asian dishes. But don't worry, if you are more into the more western and familiar flavours like vanilla or straciatella. 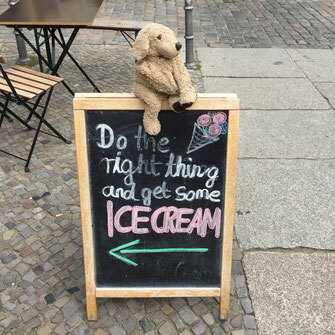 Whatever ice cream you opt for: It is the the right choice! 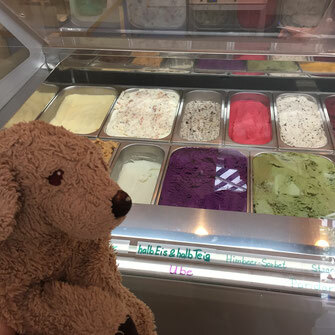 Maybe the most pragmatic choice would be to order your "regular" flavour and then have an additional scoop of UBE ice cream. I can guarantee you, that you will not be disappointed. 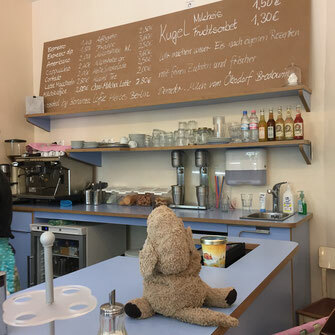 Also ready for order: COFFEE. 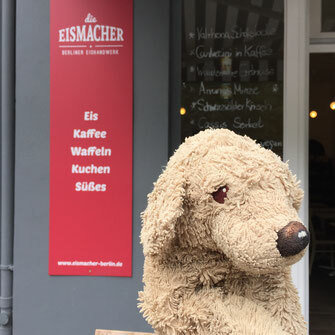 DIE EISMACHER are located in the KÖRTESTR. 10 in 10967 Berlin. That's in-between Kreuzberg and Neukölln. 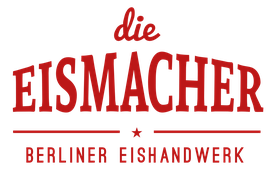 click here or below for the website of DIE EISMACHER. Like all the places I feature on my website: NO, this is not a paid cooperation. I just like the ice cream. One of the founding humans happens to be a nice person too.